Dog Parks in Austin, Texas! 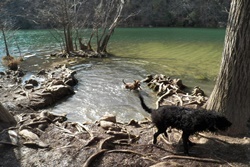 We research great places to go with your dogs in Austin, Texas! Please see our pet parks interactive map. Surrounded by water on 3 sides (peninsula), great place for dogs to socialize and swim. 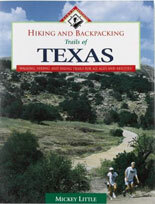 Beautiful area, trails for miles, downtown, paddleboars, lots of Pecan trees, near Capitol. Off leash, mulched dog park, park has benches and cool rock features. 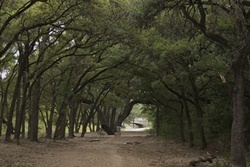 One of Texas' oldest parks has been a much loved, forested oasis in central Austin since 1875. 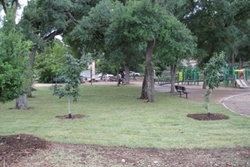 A place for picnics, nature walks, recreation, respite, and general enjoyment of the the outdoors, Pease Park is one of the crown jewels of Austin's park system. Stretching from West 15th to West 31st along Shoal Creek and Lamar Boulevard, Pease Park and the Shoal Creek Greenbelt encompass 84 acres. This pristine green space links many of central Austin's vibrant neighborhoods with the University of Texas, downtown Austin, and the Colorado River at Lady Bird Lake. 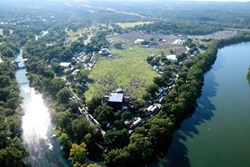 On banks of Town Lake, just W of 1st St Bridge, outdoor concert venu, off leash area from South 1st to Bouldin Ave, unfenced. "I love love love this dog park. Dock for the pups to jump off of and cool off and plenty of room to run around." 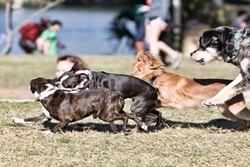 Off leash 1 acre dog park with separate areas for large and small dogs, nearby parking, restrooms. 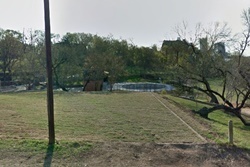 Walnut Creek Metropolitan Park is a 293-acre public park in Northeast Austin, Texas, and features 15 miles of hiking trails, multiple softball fields, a swimming pool, a playground, and numerous barbecue pits and picnic tables. 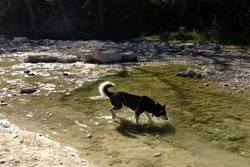 Begins at the north end of Pease Park and continues to Sieders Springs at 34 St; 3 mile trail extending from Town Lake to 38 St, crushed limestone and gravel trail, great picnic spots, from 24-29th streets is a no-leash zone. Not fenced, dogs much be on leash or under verbal control, this park has picnic sites and a shelter, Playscape, disc golf course, 5 volleyball courts, Austin Nature an Science Center, Barton Springs Pool, McBeth Recreation Center, Zilker Botanical Gardens (including Tanigushi Oriental Garden and the Austin Area Garden Center, boat rentals, a miniature train ride around the park, Umlauf Sculpture Garden and Museum, and more! Dogs must be on leash, public park. Mills Pond is a little hidden gem accessible from the north end of Wells Port Dr. or off Bratton Ln. through the Lakes at Wells Branch subdivision. The pond itself is set in the middle of our friendly neighborhood and has accessible trails for walking, running, and biking that lead through Wells Branch. 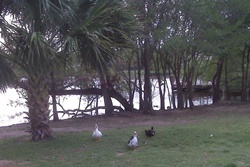 The pond offers a fishing pier and floating boat dock. All non-motorized boats are welcome. 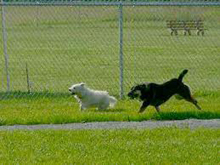 Wells Branch has two off-leash dog parks. The first is located off Bratton Ln. (Between Sydney Dr. and Feathercrest Dr.). The Second is area is located on the trail east of Wells Port Dr behind the MUD Office (14611 Wells Port Dr.). Fenced, off-leash, nice scene. Resting in the middle of historic Clarksville, the beautiful topography of this park makes it a West Austin treasure. Additional amenities include a basketball court, multipurpose field, off-leash dog area, and tennis courts. 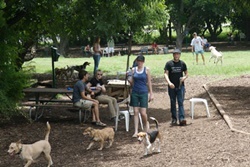 For the complete list of Austin-area dog parks, visit their city's site - link here.